Friday 27th October 2017 was Y1 skeleton day to celebrate our topic; Our Bodies and Funny Bones! 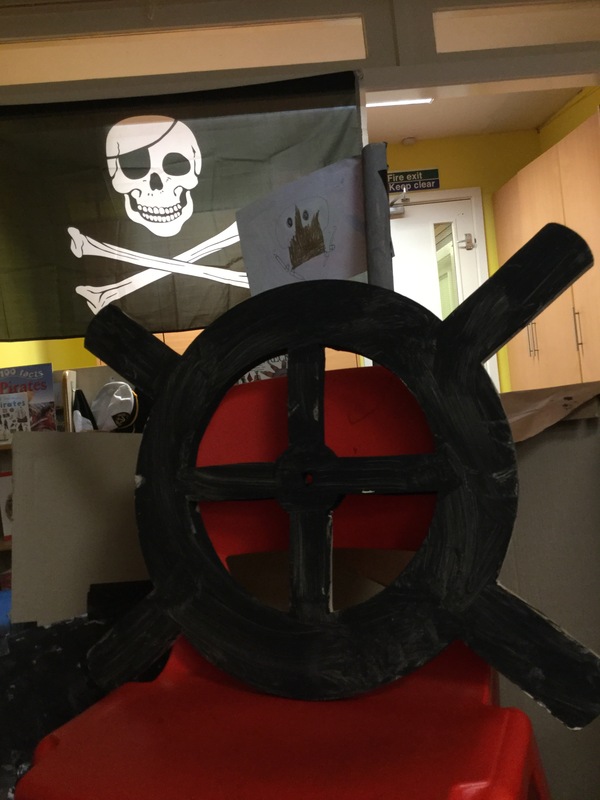 It was great to see all the children dressed as such fantastic skeleton; thank you for all of the effort you put into them! We have had a lovely day. Everybody made a skeleton out of art straws, this was a tricky task as the bones were so fiddly… but they all looked great! We also created a skeleton picture using chalk. Y1 loved doing a skeleton dance, we had to think about our left and right which even linked to our maths this week! Today we enjoyed doing some of our learning outside. In maths we started our new unit: 3-D shapes. We went outside and found as many 3-D shapes as we could. We found spheres, cuboids, cylinders… we even found a cone! There were so many 3-D shapes in our lovely playground! Our creative arts lesson was also outside. We read and watched an animation of ‘We’re Going on a Bear Hunt’. We received a letter from the bear who invited us to play hide and seek. We went outside and went on our own bear hunt. We found 6 bears! This afternoon, the children in year 1, year 2 and reception all walked down to church. Mrs Davison and Father Gus had arranged a very special afternoon for us; we went to see how babies are baptised and welcomed into God’s family. Two children acted the part of the parents and two children took the role of Godparents. Father Gus used a doll to model how a baby is baptised. He explained the significance of the baptismal oils and holy water. He also talked to us about the importance of making the sign of the cross on the baby’s forehead. The sign of the cross is the first prayer that we learn. The children all listened very carefully and enjoyed the afternoon. The visit supports the children’s learning in RE. Mrs Davison would like to invite you to send in any photographs of baptism for our class display. You may wish to send copies rather than precious photographs. Thank you Mrs Davison and Father Gus for arranging a special experience. 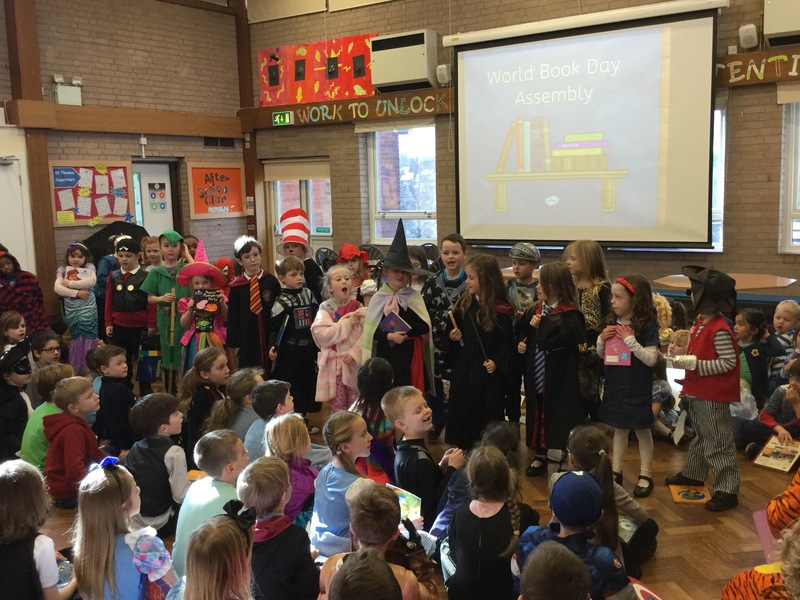 Thank you to all the children for a brilliant afternoon! Year 1 have had a lovely day in their fantastic costumes! 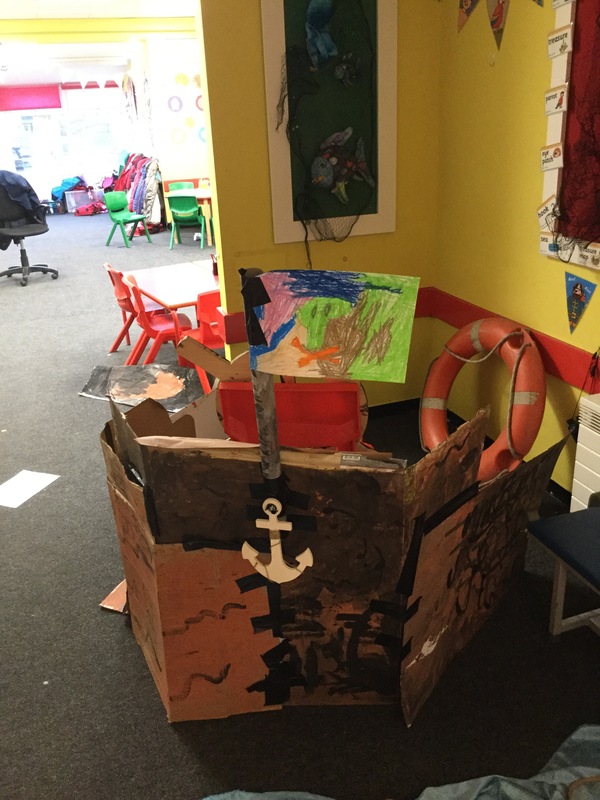 The Pirates Next Door have crashed their ship! 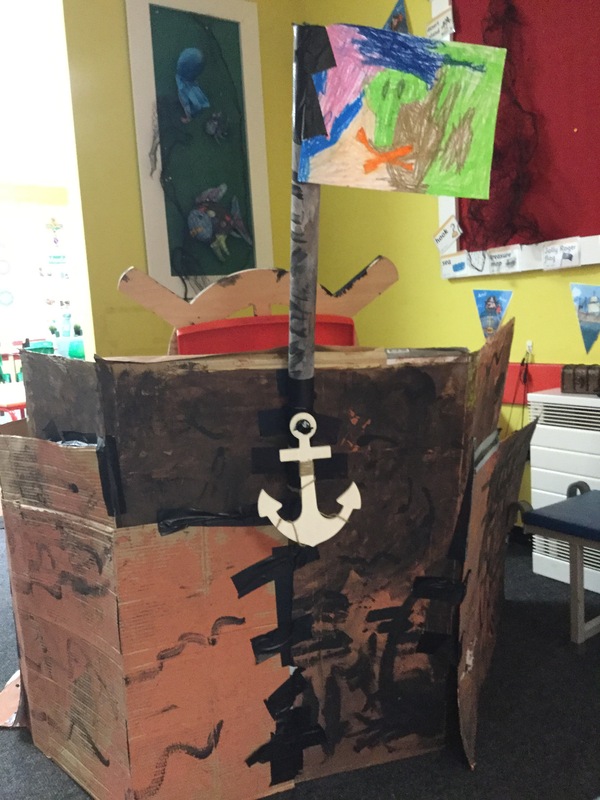 Year 1 did a fantastic job of helping them decorate and put it back together again so they can carry on being pirates – well done Year 1. 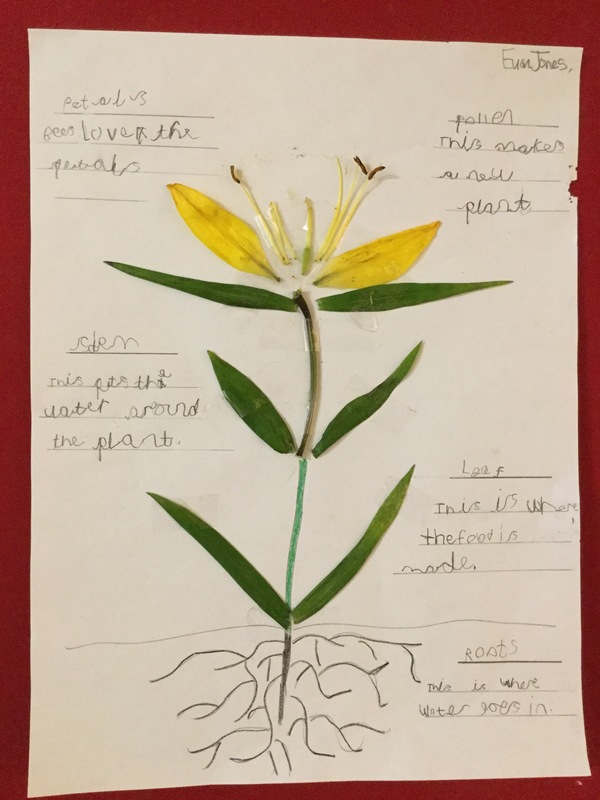 Some great work here – Euan applied his learning in school and made something at home. Fantastic effort Euan!